Poll: Do you think gambling ads should be banned from sports? There’s a sharper focus on sports adverts and the detrimental effect they could have on young people. 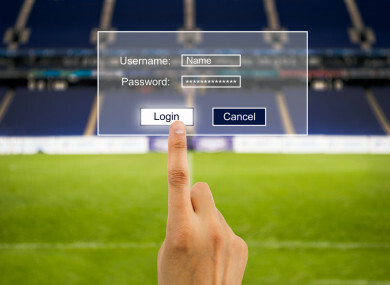 SHOULD THERE BE a ban to prevent gambling platforms advertising on sports jerseys, stadiums, and broadcast programmes? Michael D Higgins said yesterday that gambling addictions can have a serious effect on sporting communities and that he thinks ”we should protect our sports [by] keeping them free from this kind of stuff”. Advertisements help provide funding to support players, management and sporting events. Recently, there’s been talk of banning drink ads from sports due to the possible negative effect it could have on young people. So we’re asking, do you think gambling ads should be banned from sports? Email “Poll: Do you think gambling ads should be banned from sports?”. Feedback on “Poll: Do you think gambling ads should be banned from sports?”.